Im still waiting for a minion dhr 2 29x2.4 with double down casing. 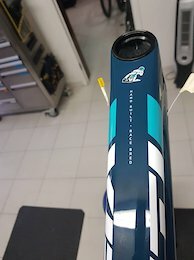 Top of the line 2018 Ibis Mojo HD4 size medium. XX1 Eagle drivetrain, Fox Float X kashima rear shock, Fox Float Kashima 36 160mm fork, ibis wide 742 carbon wheels and industry 9 hubs, Sram Guide RS brakes, KS Lev Integra 150mm dropper post, Race Face Sixc handlebar, Race Face aeffect stem. This bike looks and performs like new, very few scratches on the frame and was ridden mostly on XC trails. Thanks! i'd like to see Christopher Walken doing some sick riding on the Jeffsy otherwise I'm not buying. For the bike industrie and riders, Outerbike is the place to be. Say hello to your new favorite bike: the Tallboy C. This full-carbon beauty has a long list of awesomeness that translates into the best ride you've ever had out on the trail. A tapered head tube combined with a through-axle front hub makes the front end gloriously stiff; stuff it into a fast corner. Short chainstays and wheelbase make it quick and nimble, and of course, the fact that the frame and shock weigh only 5 pounds (medium) helps that as well. 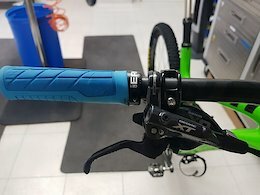 And on top of all that, Santa Cruz's proven VPP suspension delivers phenomenal traction, whether you're spinning up a techy climb or blasting downhill. Key frame details include a carbon linkage and grease ports for the links. This build sports a 120mm Float fork, Float RP23 shock, Stans archex rear wheel and Crest front wheel, XTR brakes, XTR 3x10 crankset, XTR front and rear derailleur, XTR shifters a Ritchey stem and a carbon Ritchey bar. Thanks!